The Carlisle Ribbon Mill is a new and exciting take on a historic downtown venue. This loft-style setting utilizes natural brick walls, exposed wood beams and a maple floor to create a spectacular atmosphere for all your special events. The Ribbon Mill was built in 1918 but the modern amenities and service it offers today are unsurpassed! 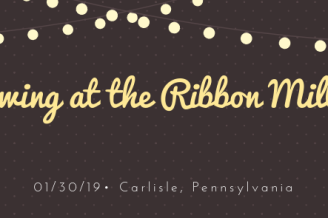 The Carlisle Ribbon Mill Banquet Hall is located next to McCarren Supply. Please call to set up a showing; showings by appointment only.